EVERYONE WHO SEES OUR FIRE EXTINGUISHER HOLDERS SAYS "THAT'S A GREAT IDEA!" MADE IN USA Fed up with that crummy metal extinguisher bracket that keeps coming undone, getting bent, and not to mention exposing your passengers to sharp hardware? Our unique gravity-feed velcro-activated pouch opens with just a pull, and goes back together without a fight. 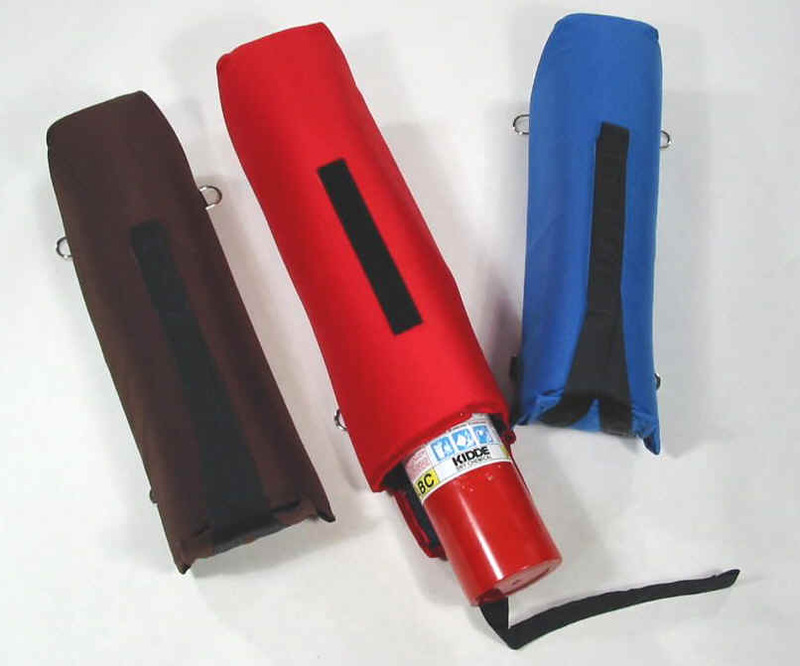 Fully padded with high density foam for passenger protection. Custom colors to fit you basket decor, or stick with "safety red". 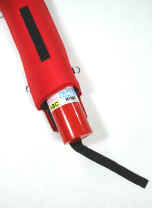 Holds up to a 17.5" tall, 4.5" diameter (including firing handle and nozzle) size extinguisher. COLOR CHOICES: Dark Brown Royal Blue, Red, Navy Blue, Black, Maroon.